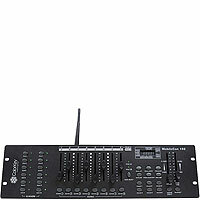 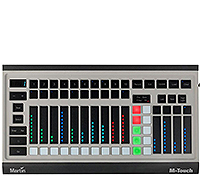 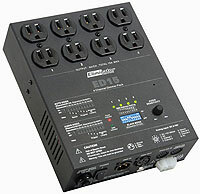 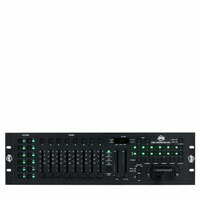 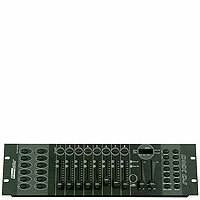 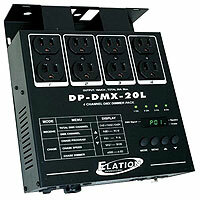 The DMX Operator 384 is a 19-inch rack mount DMX hardware controller for lighting effects that are compatible with DMX protocol. 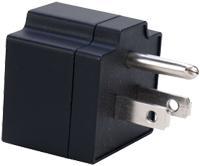 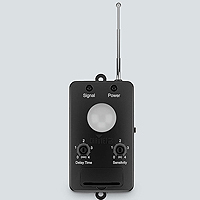 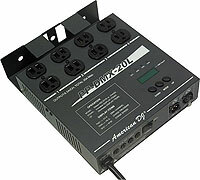 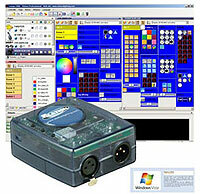 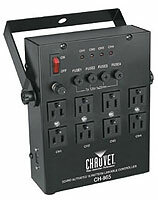 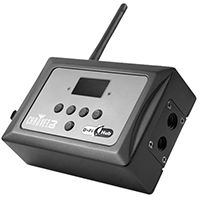 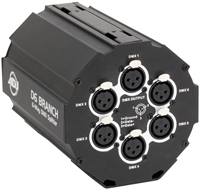 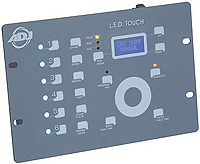 DMX interface to control DMX512-supported lighting fixture. 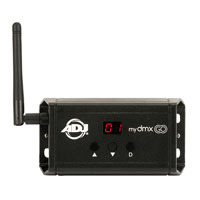 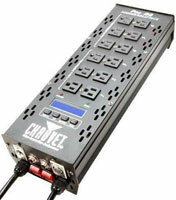 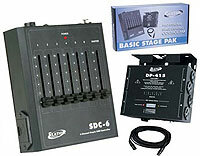 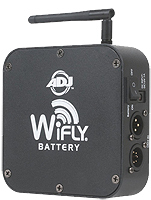 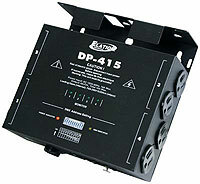 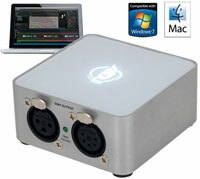 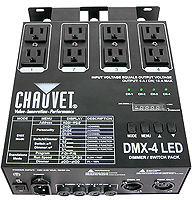 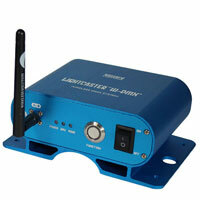 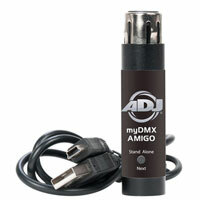 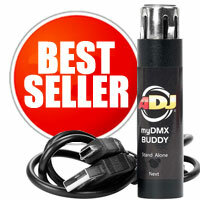 A compact DMX controller for LED lights with three channels (red, green and blue only). 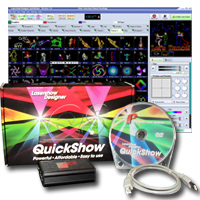 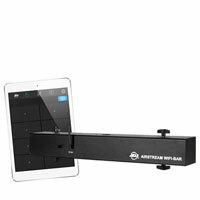 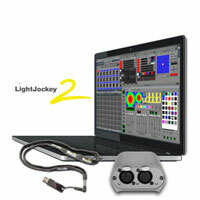 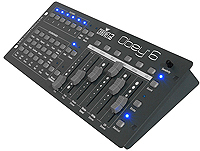 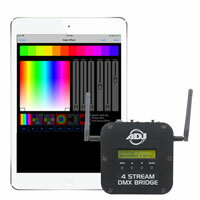 Playback options include automated, sound-activated or manual RGB color mixing. 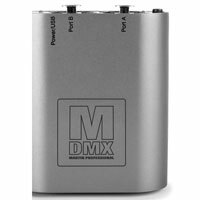 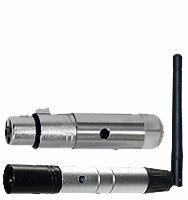 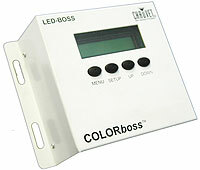 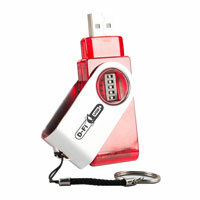 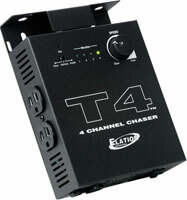 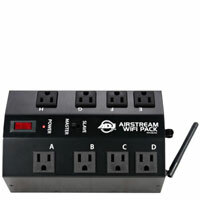 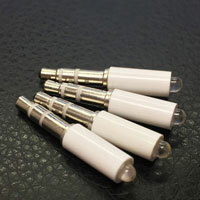 It's a compact DMX controller for LED lights with three channels (red, green and blue only) in a clear casing. 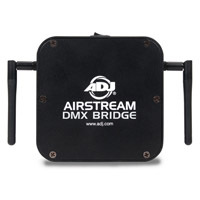 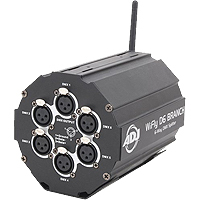 Don't forget your DMX Cables! 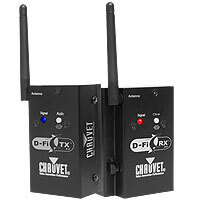 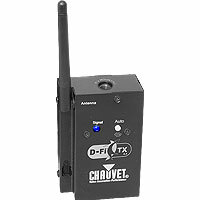 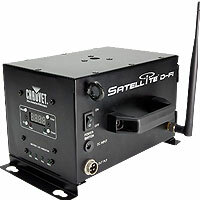 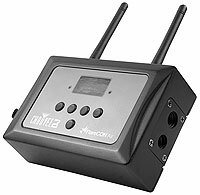 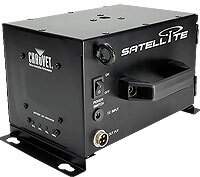 We have an immense amount of controllers, transmitters, Splitters and light software from leading manufacturers such as American DJ, Chauvet, Minimax, Eliminator, Elation and Blizzard. 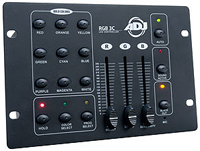 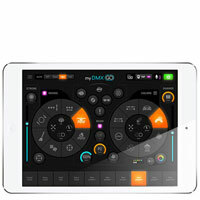 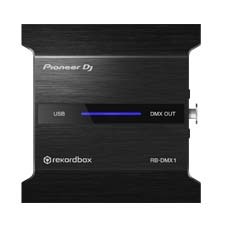 American DJ Duo Station is a two in one controller, one side is a basic 3-channel RGB LED controller and the other side has an 8-channel On/Off Switching System. 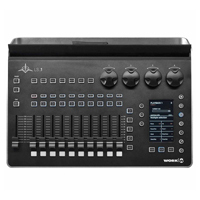 The DUO STATION has separate outputs on the rear control panel so each side runs independently from the other. 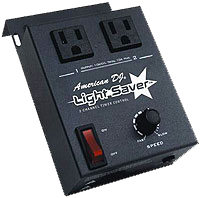 Best solution for DJs, bands, small night clubs, and bars that want simple LED control and On/Off control of effect type lights. 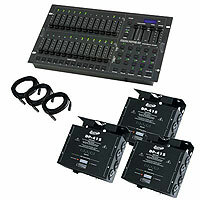 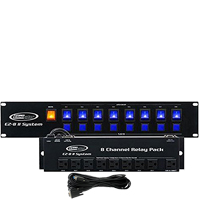 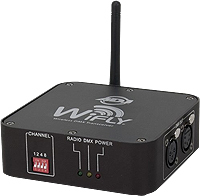 Its main features include a Duo Station Controller, a Relay Pack, a 20-foot/7M DMX Cable, RGB LED 3-channel Controller and On / Off Relay controller.